I speak about aliens and alien abduction. Next week I am giving a talk in Syracuse about Betty and Barney Hill. The Hill “abduction” is considered the first modern, and widely reported , alien abduction experience. It ushered in the era of little gray aliens. Therapists, both amateur and professional, still make money treating “abuductees” . A new movie is supposed to be in production based on the Hill experience. A TV movie, starring James Earl Jones, is considered by many to be the real trigger of the modern abduction movement. One thing brought up again and again by Hill supporters was that they both told the story of the abduction. While it is agreed by most that Betty was the stronger personality and the one with the most UFO enthusiasm, Barney also contributed details to the story. Today most skeptics, and psychologists, think that the Hill story is a classic folie a deux. This is not a shared experience so much as a shared fantasy. Sometimes the fantasy is shared by close friends, twins, siblings, husband and wife, any very close relationship can result in the shared fantasy. I asked one of the therapists (Dr.A) I work with to give me an example she has had of a folie a deux in her practice. Over the phone she told me of a couple she treated. I once had an elderly couple come in, they were both distressed as they felt they had gone “insane”. I was able to see they were both dressed well, neatly groomed and used the vocabulary of educated people. They obviously needed reassurance from me. Once they felt comfortable, they told a story of a shared remembered experience that they now had proof never had happened. This was quite frightening to them, as they said for the past 30 years they had believed this experience was true. Their child had grown up hearing about a hotel with a large flamingo in Florida her parents had stayed at before she was born. The parents would also talk about a wonderful boat ride they had gone on, one of those boats with a big fan on the back. The father would say that during the ride the boat had stopped and they had seen alligators and the boat driver had thrown a chicken at an alligator and it had eaten the chicken. While her parents had been back to Florida many times, they always talked about the hotel with the Flamingo and the boat trip with fondness. The daughter grew up and decided to find out where the hotel was and stay there, and also go on the boat ride. The parents could not remember the name of the hotel, only the city where it was. The daughter decided to look through old photographs to see if she could find the name. The daughter looked through an old photo album, and found the hotel with the giant flamingo. Her mother was in some of the photographs, but there were also photographs of another man. The man was not her father. This strange man was in about half the photographs, including ones near an air boat such as her parents had gone on. There were no photographs of her father. She went to her parents, wondering who this man was, and their reaction to the photographs was what had brought them to my office. You see, the man in the photographs was the woman’s first husband. She had never even told her daughter she had been married before. This was 4 years before she met and married her current husband. She said it wasn’t until after their child was born and much older, and they began to travel to Florida, that she told her about the hotel and boat ride. She had truly remembered her current husband as being the one with her. It had been 10 years she said, and she felt the mistake was honest. Her husband said that when his wife would say “Don’t you remember? The giant flamingo!” he would at first say “I think so.” Soon he said he was positive, and they would even talk back and forth about the trip. He said that he remembered the trip, even though he had never been on it. The wife then said she felt especially worried as her husband would often remember a detail of the trip that she did not remember. However, she claimed she remembered after he had told her. She said she never remembered feeding an alligator a chicken, but that after her husband had “reminded” her she did. The shared fantasy memory was built upon each time they talked about it. They were both 100% sure it was real. They were truly frightened with the photographic proof that they indeed, had not taken that trip together. I was able to assure them that most close couples had many shared memories that were indeed wrong. While most don’t go as far or are as involved as their shared, but false, memory, it did not mean they were insane. The couple was very fantasy prone, both had seen UFOs and suspected Big Foot might be true as they had “heard funny things” in the woods. Still, this was a happy vacation memory, not some strange paranormal event. I think most couples or people that are close influence each others memories. It’s why the police don’t like witnesses to get together, our memories are always changing with time and with outside influences. The couple was normal and I was able to send them on their way. They were happy to learn that it was their very closeness that enabled the folie a deux to take hold. 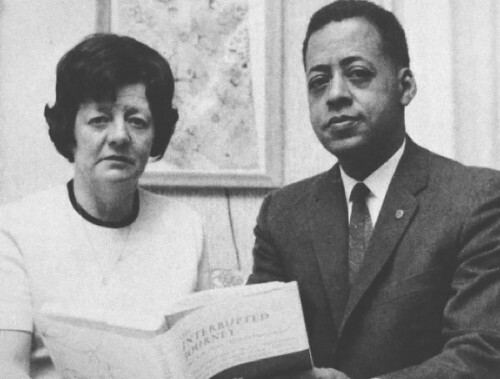 Betty and Barney Hill reacted very differently to their experience. Betty went on to a long life. Barney sadly died at an early age. Barney found the experience (real of imagined) very stressful and the tapes of his hypnosis sessions are terrifying to hear. Barney screams at various points and while this is pointed out as proof he “wasn’t faking it”, it is not proof he was abducted by aliens. Betty went on to a career, including an agent, of being a UFO expert. She was lead speaker at many conferences. 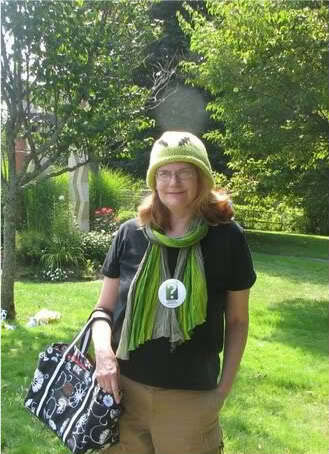 She received mail from around the world from other alien and UFO believers. She became friend with Stanton Friedman, still one of the leading lights in the “UFOs are aliens” field. I find, working with those that feel they have had an alien abduction experience, I can help the Barney’s. Living with a memory, true or false, of an abduction, is so painful they really want to find answers. They respond best to therapy, suggestions of other possibilities, and giving up the fantasy for their own happiness and peace of mind. The Betty’s are steadfast in their belief as it actually makes their life more enriched and interesting. You can see UFO and alien believers, and the people that have supposedly been abducted or seen an alien, on television. Books are written about them. There is a whole industry, and support system on the web, the keeps them from really seeking out an answer. The feeling that you have been chosen by intelligent beings for research of contact, is also a feeling that you are special and different than others. Betty’s don’t want to believe anything but that they are indeed that special person chosen for contact. Now most people that fear they have been abducted by aliens find there is an easy answer for their fear. Medications that have a warning of “Lucid dreaming” might as well say “Alien abduction“. Sleep disorders, changes in medications, changes in sleep patterns (say going on the night shift and sleeping during the day), even many physical illnesses, can cause us to believe we have been abducted. Remembering an experience with another person is no proof that the memory is correct. Memories aren’t written in a book, rather they are like a remembered movie that changes with time, other experiences, and the input of others. Folie a Deux doesn’t mean you are crazy, it simply means memories are imperfect, and sometimes they are quite imperfect indeed!